Wellington Blaze players winning team photo. I am a bit late to this whole thing, but ‘misers’ seems apt. Our national cricket body have been way too tardy in the following instance. 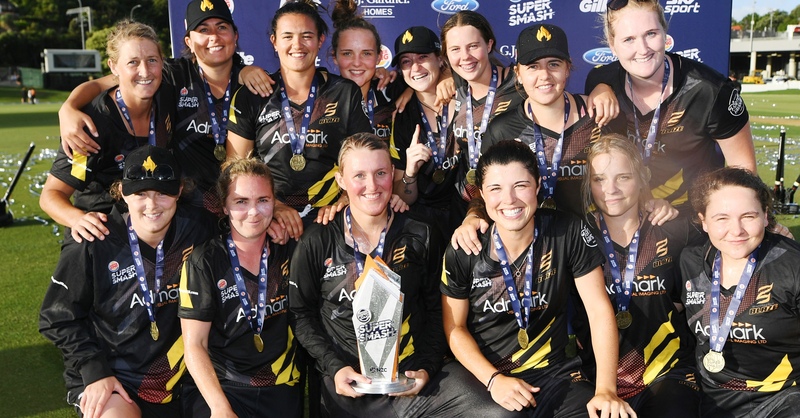 Of course there are realities about fixing and adjusting broad-based pay agreements, but even so- they have been badly caught out around the issue of only paying out the pittance of $55 as a daily allowance, along with zero match payments, as the ‘reward’ for this country’s best female T20 cricketers for making the final of their T20 Super Smash held last weekend. Here’s a comparison: That kind of money would hardly get a family of four into the movies, and don’t even think about buying ice creams. The pundit/commentator who spilled the beans on this was Peter McGlashan. Peter comes across in various avenues of the media as an intelligent and gutsy guy with strong opinions and he was absolutely right to highlight this pretty rank anomaly. The issue that has had just about more attention than Pete’s original beef was the fact that he explained about it live on air during the women’s match itself. Some have been incredulous regarding his choice of time and place. Understandable perhaps, but consider this- It appears that NZC certainly didn’t show much discretion or will in trying to put things right by way of fair remuneration before this season’s T20 competition began. Casting McGlashan as some kind of pariah for daring to speak his mind is being disingenuous around the actual issue he raised. And whatever you may think of his timing, NZ Cricket come out of it looking like descendants of Ebenezer Scrooge. Also on the stingy ledger, what about McGlashan’s paltry-looking $350, presumably before tax has come off, as remuneration for two commentated finals? That’s not much better than the previous case. The irony is that, of all people, radio as an employer should realise the amount of work that goes into being a sports commentator. It’s hardly a case of parking one’s self in the chair and beginning to warble on. There’s an amount of preparation to be done on the participants and usually more than one meeting or brief to attend. And the pressures of broadcasting to a generally discerning, niche-type audience. Where is a slice of the advertising revenue going? Certainly not to any of the hardworking commentators it would seem. That two-match commentary pay rate is straight out of the 1980s or 90s. Surely good commentators and analysts like Pete McGlashan are worth a little more than that. And seemingly hourly rates for commentating? Seems a bit draconian, even if it is contract work. Admittedly this doesn’t direct address your points, but as I said to Bucky this morning, gutted at the attendance on Thursday. Ticket prices were low, school holidays, afternoon start, 2 good teams,what more can be done? Yes it is hard for parents to take two afternoons off in a row, and the weather wasn’t as nice as the day before and people were a bit deflated after Wednesday, but still, this was a good chance to get a decent crowd. I hope the rest of the Country puts the Bay to shame.